Some companies and organizations are all about the bottom line. For others, it’s about doing the right thing—conducting business according to ethics. 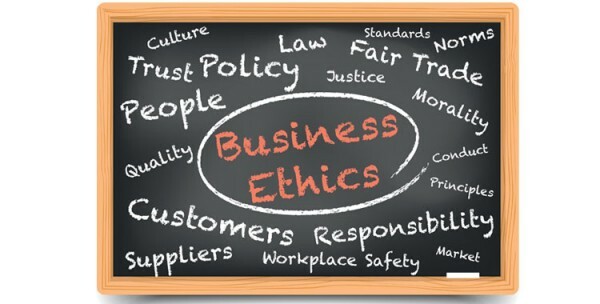 Ethics in business also means finding the “right people,” who “self-police and work internally on developing ethics,” added Paulukow. Another company that emphasizes ethics, according to CEO Roxanne Edwards, is Nxtbook Media, which brings new media solutions to publishers, marketers, and clients. Rather than come up with her own definition, Edwards asked several of her staff to comment on what ethics in business means. Nxtbook, Hughes continued, has a mission statement and a well-defined set of seven values collaboratively developed by the company as a whole. These are “regularly reinforced” by making employees aware of them in several different ways—including naming conference rooms after the values. These include Creativity, Integrity, Collaboration, Passion, and Service. “At Nxtbook we are led to keep one another accountable to our ethical standards by viewing the choices we make as active examples of our values,” he added. Both One2One and Nxtbook were recognized for their commitment to these values when they were recipients of the annual Ethics in Business Award sponsored by the Samaritan Counseling Center in Lancaster. The award criteria states that businesses and nonprofits are evaluated based on how they demonstrate five principles with staff, customers, vendors, donors, and the community. “These principles are integrity, which includes humility and credibility; fairness and justice; stewardship—being responsible in the management of what’s entrusted to one’s care; life enhancing, including respect for human rights; and transparency, or being accountable and loyal in relationships,” said Amy Winslow-Weiss, of the department of marketing and communications at Samaritan Counseling Center and coordinator of the Ethics in Business Awards. Everyone who is nominated goes through an ethics audit that includes employee and customer surveys and a site visit; one company is chosen out of six finalists. “It’s like the best of the best,” said Anita Hanna, director of development at Samaritan Counseling Center. The audit has an intergenerational component. Last year and again this year, some of the onsite visits and other research about the nominees were conducted by students from Franklin & Marshall College, where professor Nancy Kurland had developed a related new course in corporate responsibility and crisis management. “The students were trained to look for positive messages about ethics and a clear explanation of values,” said Karen Sheehe, a member of the planning committee for the Ethics in Business event who is a part-time trainer and career coach with Samaritan but also an employee of Lancaster SHRM. The HR organization is, in turn, an affiliate chapter of the Society of Human Resource Management. The annual awards and presentation event are only part of a larger emphasis on ethics. Samaritan partners with various organizations to do educational, ethics-related programs. “We make it more of a conversation all year long,” said Hanna. Increasingly, noted Sheehe, businesses are requiring ethics training for employees. They realize it’s not enough to hire people with skills and credentials. “The focus on ethics has gotten broader,” she said. An alliance has grown between organizations like Samaritan and human resource organizations such as SHRM. Lancaster SHRM helps garner local and community support for the Ethics in Business Awards and the awards event and handles registration. Being an ethical company or organization means following one’s own mission and vision—and handling every decision in light of those principles. “This may mean making a tough decision that may not be popular, but one you know is best for employees and the company,” Hanna said.